I just put up a new digital paper pack in the Etsy shop, and you know what that means ... a set of free digital paper made up from the the "rejects!" 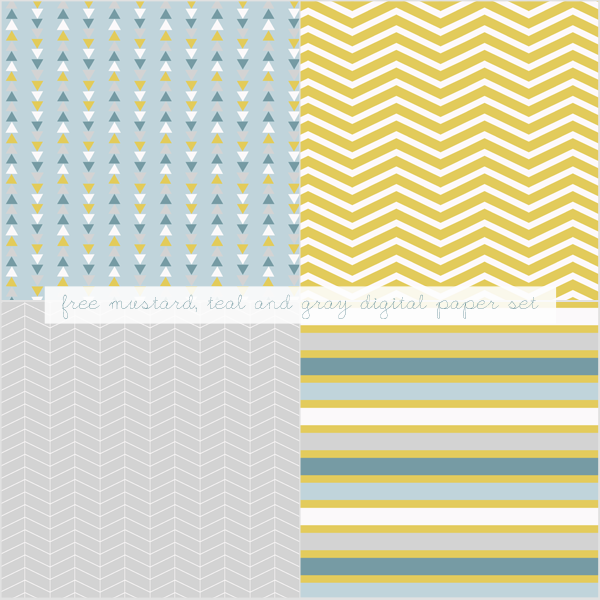 This set of 4 12x12 inch papers features triangles, stripes and zigzag patterns in mustard, teal and gray. To download them, just click on the image just above. 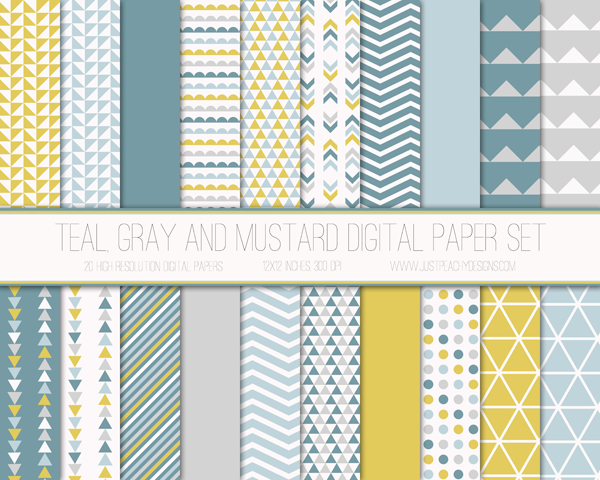 And of course, if you want more mustard, teal and gray papers, you can find them in our Etsy shop. At $4 for 20 papers, they're a real bargain, but if you use the coupon code OCT25 you can get an extra 25% off. Hurry, because the sale only lasts through October!